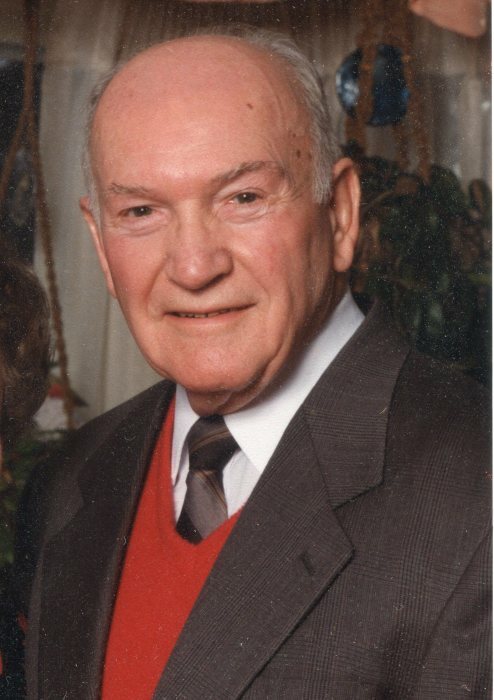 Max E. Johnson, a kind and loving husband, father and grandfather, died on April 12, 2019 at the age of 100. Max was born in Kent, Ohio on January 9, 1919. He received a B.S. Degree from Kent State University in 1940. He worked as a transitman on a surveying crew at the Ravenna Arsenal for two years. Max served his country as a First Lieutenant, B-24 Bomber Navigator with the 15th Army Air Force, the 449th Bomber Group with 35 missions over southern Europe in World War II. After the war he worked for Akron Advertising Art, Inc., now Hitchcock Fleming, as a creative artist from 1946 to 1960. After 1960, he had his own business. He retired in 2002. He was president of the Akron Society of Artists in 1954, a member of the Cuyahoga Valley Art Center and a member of the Association of Retired Graphic Artists. Max played golf, tennis and racquetball for recreation. He believed strongly in being physically fit. He moved to Brookdale in 2008 and was active in the current events discussion group and the My Life Story writing group. Max continued his love of painting throughout his life. Preceded in death by his wife of 63 years, Jeanne; he is survived by his children, Michael (Carol) Johnson, Janet (Don) Lewis, Patrick (Laura) Johnson and Perry Johnson; grandchildren, Michael (Christie), Ryan, Katie, Elaine (Shane), Bryn and Paul; and great-grandchildren, Elizabeth, Elise and Hayden.